On the banks of Tanzania's Lake Eyasi, in the north of the country, lives the world's last hunter-gatherer tribe. They don't grow food, raise livestock or build permanent shelter. Instead they live a life unchanged for more than 10-thousand years. Their world is one of ultimate freedom - something modern society can barely imagine and is unlikely to ever experience. Let alone have the skills in which to stay alive. Text messages and phone calls don't exist. Nor cars and electricity. No jobs, bosses, timetables, social or religious structures. No laws, taxes and incredibly, no money - the closest thing to currency is the occasional trade for a pair of shorts or sandals with a neighbouring tribe. 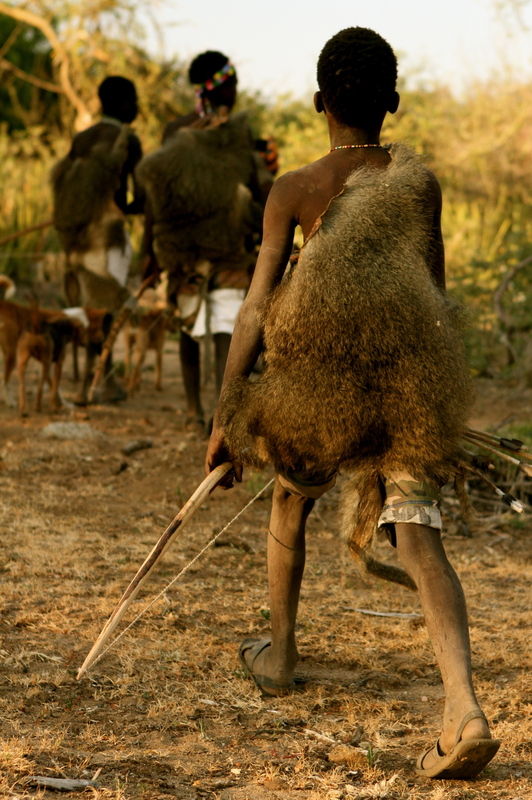 We spent our time with the Hadza hunting baboon, a daily activity for the men, in what is a hot, harsh climate. Their landscape is precariously packed with thorny bushes, poisonous snakes and man-eating lions. But a successful hunting expedition is the difference between eating or going hungry. About one-thousand Hadza still live in caves around Tanzania's Lake Eyasi in Africa's Great Rift Valley. Just south of here some of the oldest fossil evidence of early Hominids were discovered. 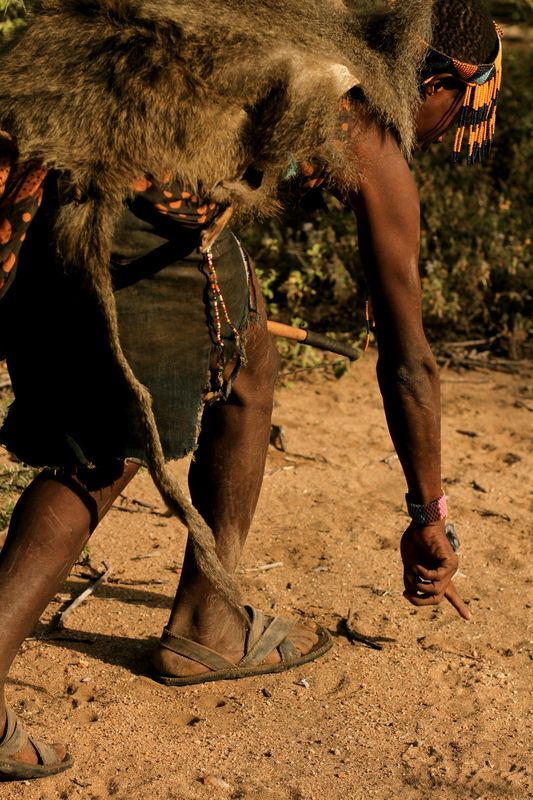 By all modern standards, the Hadza shouldn't really exist. They remain an anomaly. A tribe time has forgotten. They do not engage in conflict, and have no memory of infectious outbreaks or starvation. Their population never exceeds numbers that cannot be sustained through hunting or gathering. The Hadza diet is simple. Meat - including birds, baboons, antelope and buffalo - killed by hand-made bows and arrows, crafted in-between hunting trips. Their language is believed to be the oldest still-spoken language known to man ... a rhythmic dialect punctuated by clicking sounds. A linguist's dream. Unlike the modern-day office dweller, the Hadza enjoys an extraordinary amount of leisure time. Their 'work' - hunting for food - take up around five hours of their day. And over all these thousands of years, they've left little more than a footprint on their land. 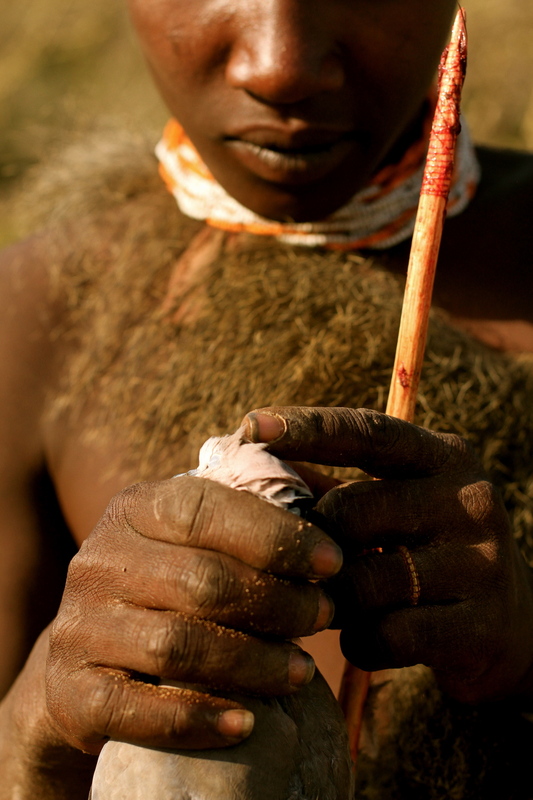 The Hadza represents a part of the world's cultural make-up, which has all but gone. But the greatest tragedy is they may also represent what we've all lost.